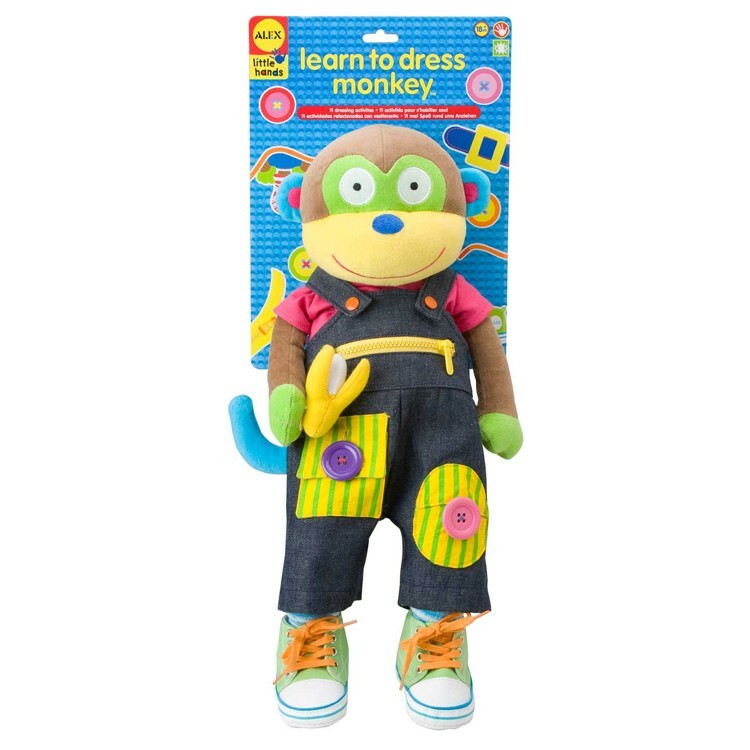 Your child can learn how to dress all by himself with this special Learn to Dress Monkey toy by Alex. I can learn how to dress all by myself because I have a special monkey friend! 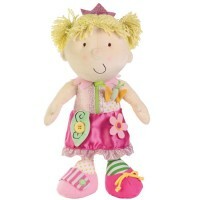 Learn to Dress - Monkey by Alex Toys features cute soft monkey with fun dress up details and accessories. 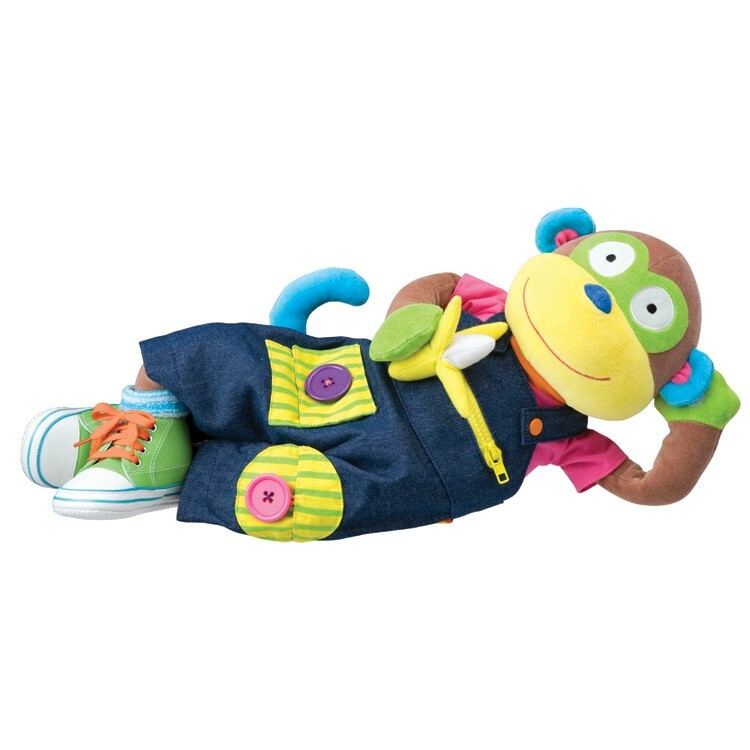 22 inches long stuffed toy monkey from Alex' Little Hands series comes with 11 dressing features that will teach your toddler or young child necessary life skills. 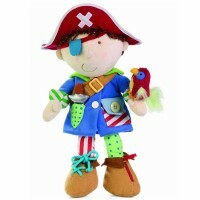 Toddler will learn how to lace, snap, button, hook, loop, zipper and more while playing pretend games with this adorable plush toy. 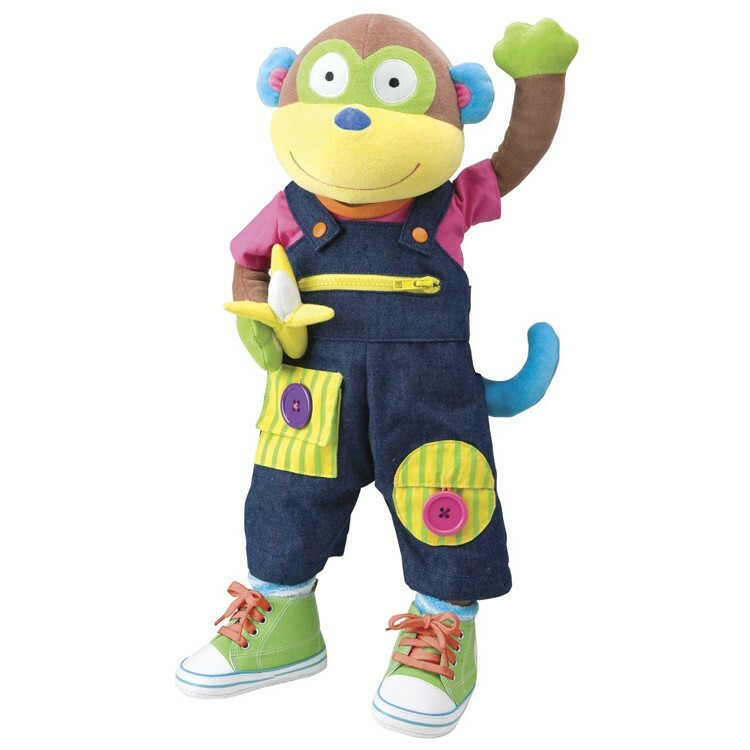 Educational Toys Planet's Learn to Dress - Monkey wears funky slip-on overalls with snaps and 3 colorful pockets, a shirt, socks, and cool sneakers to tie shoe laces. All dressing pieces are removable for more play and developmental value. 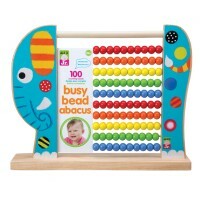 This engaging toddler activity toy is just perfect to accompany your child to bed, on the go, or in his/her imaginative play! 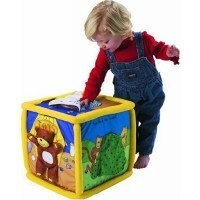 Dimensions of package 8" x 5" x 20"
Write your own review of Learn to Dress - Monkey. 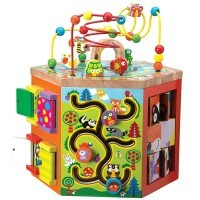 Rating: 5 by alice, TX Very appealing toy for the age group for which it is selected. Rating: 5 by Evelyn, NV Such a lovely toys to learn how to dress. 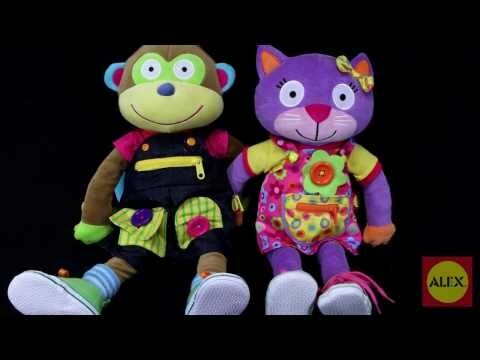 Rating: 5 by Addie, PA The thing I like the most about Learn to Dress-Monkey is that my granddaughter loves him, so much so that she takes him to bed with her! He's a great learning tool for her as well. Rating: 4 by Rose, TX The monkey is fantastic. However, when I washed the monkey and his clothes (delicate/no spin/cold water), his overalls are now starting to come apart at the seams and the jean material frayed a bit in places. The sneakers, shirt, socks, the monkey itself and his banana all held up well in the wash. The overalls will need to be re-sewed at hems, tail hole and around the zipper, which is a bit awkward to pull and gets stuck in open position if pulled too far. Otherwise, great toy and the kid loves it! Rating: 4 by judith, AZ The monkey could have been stuffed tighter, so it would have been easier to dress and undress. Rating: 5 by Lisa, ME The monkey is a nice, big size and everything is soft. The fasteners really work. Rating: 5 by bonnie, PA really like this item. think it will be fun/helpful in learning motor skills. it's for my 2 1/2 year old grandson. Rating: 5 by Elaine, NY My grandson likes to take him for a ride on his bike! Rating: 5 by Elizabeth, CT This toy is so adorable and fun to play with. Rating: 5 by Dawn Kellams, NY I gave the monkey to my niece for Christmas. She’s 2. She has all sorts of dolls, including American Girl. 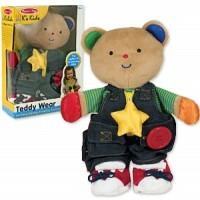 I thought it was a great idea about the learn-to-dress toy. I didn't want to get a doll, because she has so many of them. The monkey was adorable. She would be able to identify the monkey from all other toys. My niece loves her. The buttons and the snaps are big enough for 2 year-old to open and close them. She will be able to work with them. Also, it’s that age when they do tea parties. And she will be able to take her monkey to the tea party. It’s very important for children of young age to learn how to do button, zippers, how to tie the shoe, and so on. I used to teach myself. 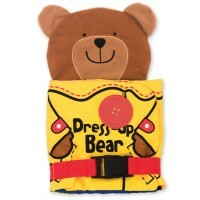 I think, it’s better to teach children the concept of leaning to dress through the toy. I found your store searching for educational stores in Google. 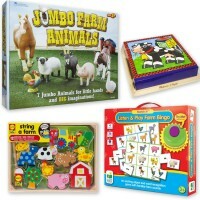 Your selection of toys for 3 y. olds was great. Puzzles and so on. Your choice of Learn to Dress is absolutely fantastic! Rating: 5 by Debra, NY Was a gift and they love it.